On what was another proud occasion for the club, Fr. Sheehy’s home club of captain Colin English, hosted the official Tipperary U21 homecoming event before a fine attendance last Sunday night. 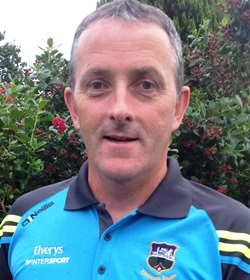 Club chairman, Liam O’Connor was M.C. for the night and he seamlessly guided the attendance though proceedings. Yours truly introduced the players before Colin English addressed the gathering on what was a very special occasion for him, his family and his club. Colin was duly followed by county chairman, John Devane and U21 manager Liam Cahill and all spoke of the importance of night’s like this and the desire that the players can go forward and achieve even greater things at senior intercounty level. To round off the night before players met family and supporters, selector John Sheedy once again led all in a rousing rendition of his now traditional signature song. Thanks to Fr. Sheedy’s for their wonderful support and effort in hosting the homecoming and for refreshments on the night and music provided to entertain the crowd in advance of the team’s arrival. A busy weekend in county senior and intermediate hurling action gave supporters much to view and then ponder following the results. Due to the fact that there was a walkover in group 3 of the Tipperary Water county senior hurling championship and three teams finished level on points a playoff is required under rule. The draws for the 3 way playoff are as follows; Round 1- Drom-Inch v Upperchurch-Drombane, Round 2- winner of round 1 v Thurles Sarsfields and finally Round 3 – loser of round 1 v Thurles Sarsfields. The first of these games, Drom-Inch v Upperchurch-Drombane will go-ahead next Tuesday night in Templetuohy at 8pm. 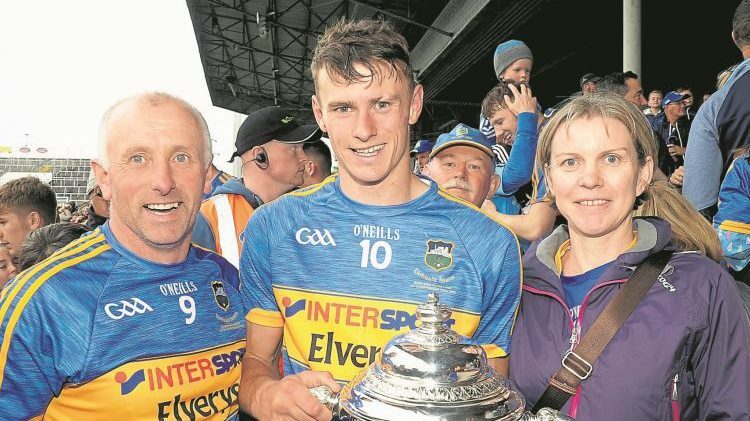 The draws for the two Tipperary Water Seamus Ó Riain Cup quarter-finals were also made and resulted as follows with Templederry Kenyons meeting Holycross-Ballycahill and Silvermines down to play JK Brackens. The draws for the preliminary round of the Tipperary Water Intermediate hurling championship were made and these are – Moyne-Templetuohy v Thurles Sarsfields, Sean Treacy’s v Ballinahinch, Gortnahoe-Glengoole v Shannon Rovers and Ballybacon-Grange v Borrisokane. Divisional hurling occupies the minds of followers also this weekend, where first up the eagerly awaited Hibernian Inn North semi-final replay between Nenagh Éire Óg and Kiladangan will go ahead this Saturday, September 8th at 5pm in Templederry. The winners will meet Kilruane MacDonaghs in the final. Then on Sunday next September 9th, the Centenary Mid Senior Hurling Final between Thurles Sarsfields and Loughmore Castleiney will take place in Templetuohy at 3pm. The September GAA draw will be held in Ciss Ryan’s Bar, Garrykennedy on Friday week September 14th in association with Portroe GAA. The local winner from the August draw, Con & Francis O’Halloran will be presented with their prize of a Skoda car, while other winners of that draw from the surrounding clubs will also be presented with prizes. 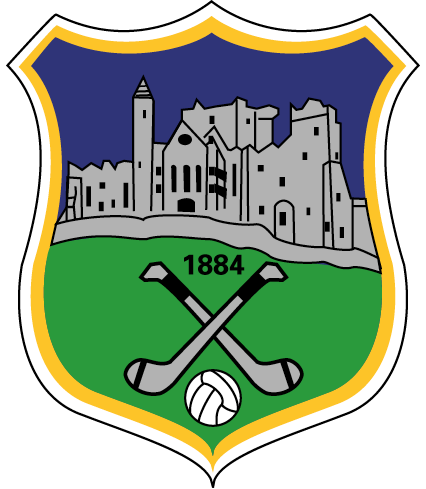 The new Tipperary GAA website is ready for imminent launch and will provide hugely improved access for supporters to club results and fixtures among many of the regular features. This is a hugely welcome addition to the county profile and a vast amount of work has been put into the hew website by county IT Officer Lisa Stapleton in conjunction with the site designers. Together with the recent publication of the club directory both will be officially launched at the next county board meeting. The countdown is on to Féile Classical, which will go live on Friday and Saturday 21st and 22nd September, when a host of bands supported by the Irish Chamber Orchestra will perform to a seated audience. In what promises to be unique and special events there will be much more besides including a food village. Tom Dunne lead vocalist with Something Happens and also Newstalk presenter is curator and host of Féile Classical. All details can be found on feileclassical.ie as the iconic venue of Semple Stadium welcomes back the Trip to Tipp.